Today was my first day with students after Winter Break. I am exhausted! It got me to thinking that we really need to get back to a routine and following directions is a HUGE component of this. 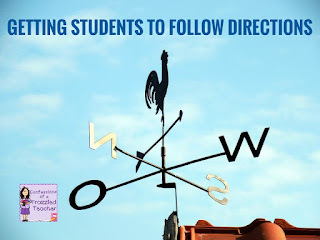 With this in mind, here are some of my favorite activities to use to teach students the skill of following directions. 1. Have students highlight the directions on their papers. If nothing else, they do have to see the directions when they highlight them! Related Tip: If the directions say to circle something, we will actually circle (I would circle the word circle if I could actually figure it out in this program!) that word. If they say to underline something, we will underline that word. It's a visual reminder for students. 2. Play a version of Simon Says. I personally play Miss Barker says... We start of slowly and move faster as the game goes on. The kids love playing, but I do remind them of the purpose of the game...following directions! 3. Create a Code Word to get your students to listen to verbal directions. For example, if studying about penguins, I might make the Code Word - Emperor. When I give directions, students are not allowed to move until the Code Word is said. This prevents students from starting their work before directions are finished and missing something important. Helpful Hint: Change the word on a regular basis (like once a week), so students have something new on which to focus. 4. Write out your directions on the board. Honestly, it's difficult to remember a bunch of directions. I write out the directions in a numbered list for my students to read. Extension: For students having an extra difficult time, it's helpful to have a set of directions to keep on their desks. If this is not feasible, put a post-it note with the numbers from the board. Let students cross off the numbers as they complete the tasks from the board. 5. My personal favorite is Directed Drawings. Directed Drawings are step-by-step directions that you complete with your students to create pictures. Last year, I scoured the internet and Teachers Pay Teachers for one to do with my students each Wednesday. This year, I just don't feel the creative juices and don't want to actually draw the pictures. I found an amazing alternative, a YouTube channel completely filled with hundreds of directed drawings all done step-by-step. Check out Art Hub for Kids for these videos. Now, I get a few minutes (or more) of peace and quiet while students work on their drawings all while following directions! 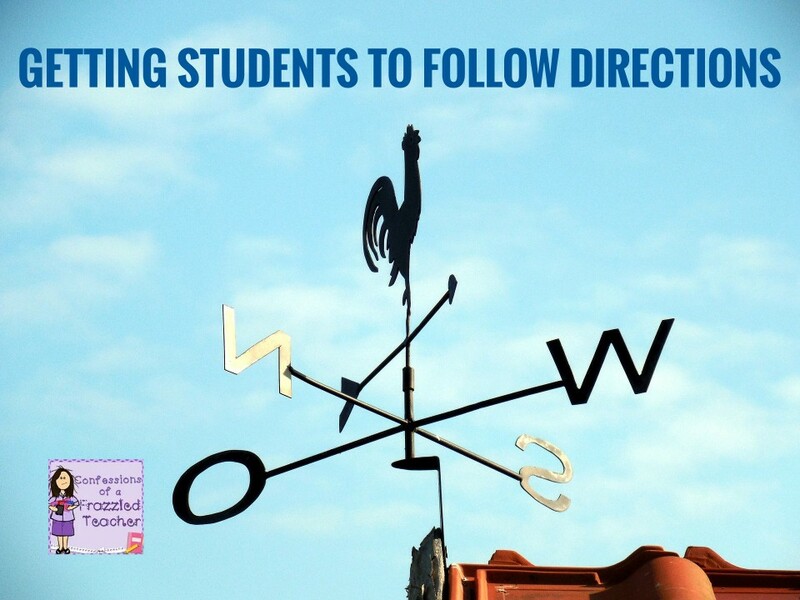 How do you get your students to follow directions?